This fixed solution of traffic speed measurement system ideally fits for locations with high risk of speeding. It is composed of a pole bearing a cabinet. Designed in particular for gantry applications. 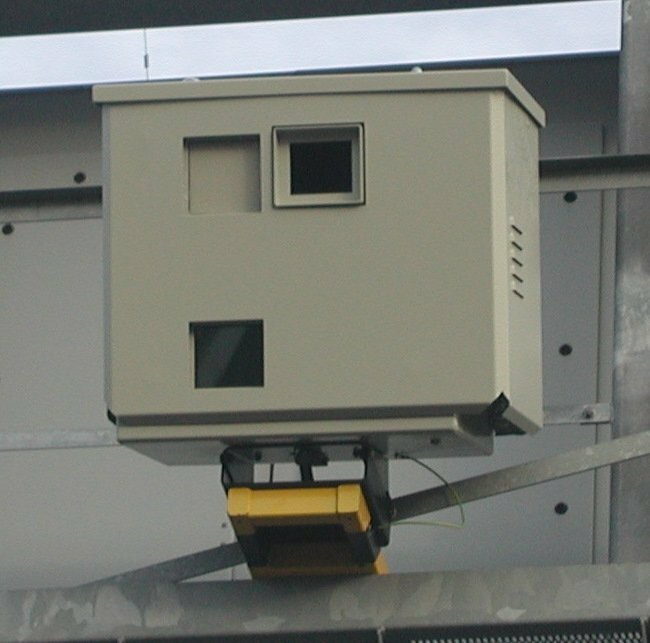 RAMER10 G camera is a version of the stationary radar speed camera designed for fixed installations where constant and increased danger of speeding occurs. The components are identical with those of RAMER10 O, however, compared to RAMER10 O model, they are located in a cabinet in a position turned by 90°. 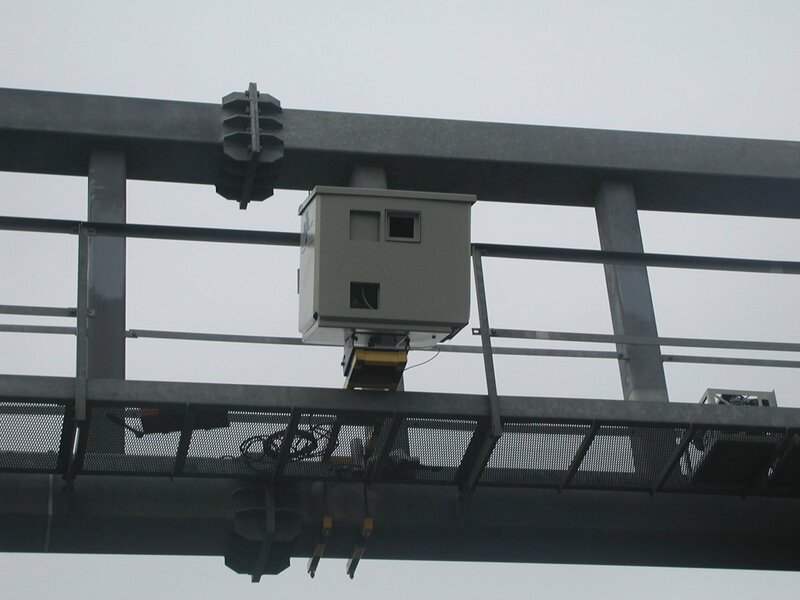 For gantry application over the road a specific maintenance-free cabinet is used, operated fully remotely. The RAMER10 G can also be placed on a fixed pole, or a pole with a lowering mechanism. The system can be placed on a pole with extended height, or a gantry over the road, which provides a significant protection against vandal attacks, if any. System protection is IP 67, that means it it resistant against water under pressure. 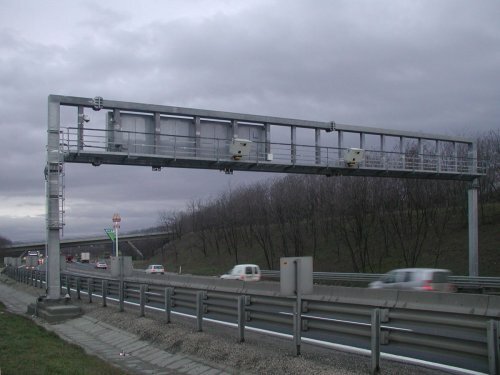 This allows using the same washing technology on highways and motorways as is the one applied for washing traffic signs, i. e.washing by pressure water. The radar inside the cabinet is designed as two separate containers which are slid in guide rails in the cabinet. The upper part houses the measuring block – the radar with the camera, the bottom part holds the power supply unit, battery and flash.